Brady wasn't the only celeb who had his named tossed in the ring as a possible "suspect"
So... anyone know if Tom Brady took a spin through Las Vegas circa 2011? We kid, Tom. No. Seriously. We. Are. Kidding! 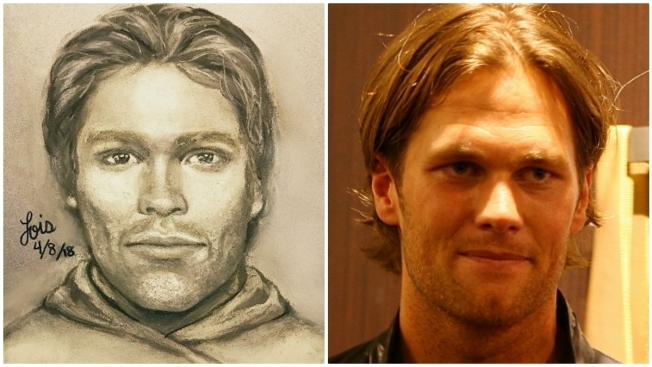 Stormy Daniels' reveal Tuesday of a composite sketch of the "handsome thug" who she says threatened her in Las Vegas in 2011 to remain quiet about an alleged affair with Donald Trump has social media abuzz making comparison to look-alike celebrities. The name that seems to be popping up the most often is New England Patriots QB Brady. But Brady wasn't he only celeb who had his named tossed in the ring as a possible "suspect." Just about anyone bearing even a remote resemblance to the sketch had his name taken out for a spin on social media. From Bon Jovi to Kato Kaelin to even a young, strapping Arnold Schwarzenegger... few were spared. But at least one celebrity stepped forward to positively declare his innocence. May the force be with you Mark Hamill.